Effectively condition, protect and repair your chapped hands while strengthening your nails against splitting and peeling. Dermalogica AGE Smart™ Multivitamin Hand & Nail Treatment heals your dry, rough hands. Containing pro-vitamin B5 and soothing algae extract combined with pure sweet almond oil, Dermalogica AGE Smart™ Multivitamin Hand & Nail Treatment provides an invisible barrier against environmental damage from weather and sunlight. 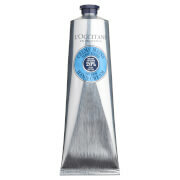 The treatment has quick absorbing conditioners that leave your hands smoother and nails healthier. This intense non greasy treatment has licorice extract and vitamin C to help reduce the appearance of hyperpigmentation and helps fight the signs of premature aging. Antioxidant extracts of ginkgo biloba and grape seed plus vitamin E neutralise free radical activity, guarding against further damage. Dermalogica AGE Smart™ Multivitamin Hand & Nail Treatment contains no artificial fragrance or color. Apply Dermalogica AGE Smart™ Multivitamin Hand & Nail Treatment to your hands and nails at least once a day. Use light massaging motion when applying. Use more frequently during dry or cold weather. Vitamin B5/Algae/Sweet Almond Oil/Grapefruit: Soothes and heals dry rough skin. Grape Seed/Gingko Biloba/Vitamin E: Antioxidants, help defend against environmental damage. Licorice/Vitamin C: Reduces the appearance of dark spots. Water (Aqua), Cyclopentasiloxane, Glycerin, C16-17 Alkyl Benzoate, Di-C12-15 Alkyl Fumarate, Stearic Acid, Dimethicone, Sodium Dihydroxycetyl Phosphate; Extracts Of: Rosa Centifolia Flower, Algae, Glycyrrhiza Glabra (licorice) Root, Ginkgo Biloba Leaf, Vitis Vinifera (grape) Seed, Lupinus Albus Seed, Spirulina Maxima; Tocopheryl Acetate, Ascorbyl Palmitate, Retinol, Caprylic/capric Triglyceride, Panthenol, Allantoin, Sodium PCA, Sodium Hyaluronate, Methylheptyl Isostearate, Butylene Glycol, Carbomer, Tetrasodium EDTA, Aminomethyl Propanol, Phenoxyethanol, Propylparaben, Methylparaben, Limonene, Citrus Grandis (grapefruit) Peel Oil.